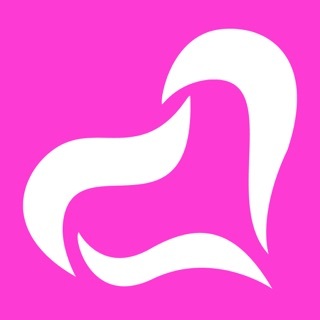 We're India's best dating & matchmaking app. We bring like-minded peeps together to meet and UnSingle. Your preferences and our science will help you find someone you’ll love to date. So, if you are looking out to meet like-minded singles, you can UnSingle right here on TrulyMadly. Select: Finding the one just got way easier! 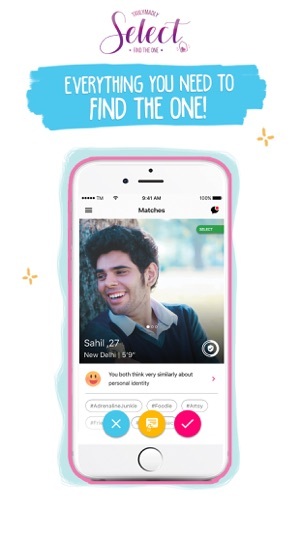 Upgrade to the all new experience of TrulyMadly Select to get more profiles, more profile views, access to features such as compatibility quiz, bio, ad free experience and much more! 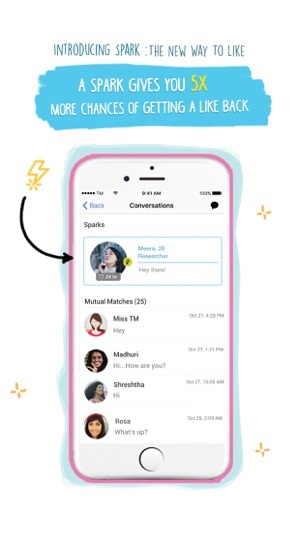 Sparks: A Spark can help you start a conversation with your matches without waiting for a like back! Send a Spark with a personalized message and get noticed like never before. Happy Sparking! Trust Score: You get more matches when you increase your Trust Score by verifying your Facebook, LinkedIn, phone number, photo ID, etc. So no fake people on TrulyMadly! 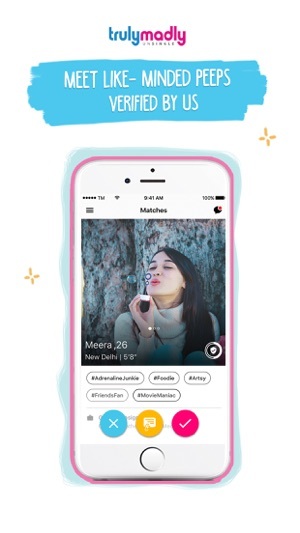 Endorsement: Ask your good old friends to back you up on TrulyMadly & boost your Trust Score. Better the score, more people to match with. 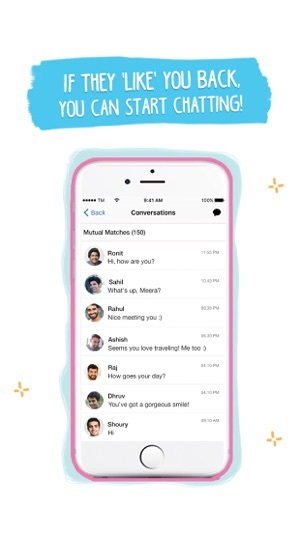 Stickers: Chat up with your matches on our messenger and express yourself better with our cool stickers! Quizzes: Play quizzes and get to know your matches better! Ask a friend: Ladies, you can ask your female friends about what they think of a particular match. Cool, right? Display Profile: You can go incognito and chat only with the people you’ve liked. Preferences: You can set age, city and other preferences. Whether you are from metro cities like Delhi, Mumbai and Bengaluru or from small towns, we’ve got you covered. We’re free - Yes! You read it right. So enjoy UnSingling! Have something to say? Reach us at contact@trulymadly.com. We are all ears. Fixed issue in retrieving gender from Facebook profile. This app could use a lot of work. I am on an iPhone X and this app keeps crashing and plus it’s not fully optimised for it. Secondly what’s the deal with the profile pics yo? Every photo that I uploaded kept getting rejected. I mean why? What’s wrong with them. They are just my ordinary selfies that I had posted to my insta and Facebook. So why u keep rejecting them based on your guidelines? So what’s your guidelines anyway? Thirdly I’ve been trying my luck with matches and there is something fundamentally wrong with how it works. I can’t really put my finger on it but I’ve had better luck on tinder and bumble than this crap. Their match system is leaps and bounds above what this app provides. Plus I kept getting profiles for girls who are from Mumbai and Pune when I am from Coimbatore. I double checked to see if my matching radius was limited areas closer to my location, but it just wants to send me profiles for cities that are more that 1000 kms +. I am so done with this crap. We are sorry that you felt this way. Please allow us to serve you better,do write to us with your registered email id at contact@trulymadly.com Hope to hear from you soon. Lol look at their strategy, when you’ll like someone in the match making then that person will come back in the match making after some days or after some attempts but this time they wont let you just like their profile again or skip their profile, but they will ask you to send them a spark which you will have to buy and if you do not want to give them a spark then all you can do to start liking profiles again is that you will have to swipe left on their profile which will completely remove them from your match making list. 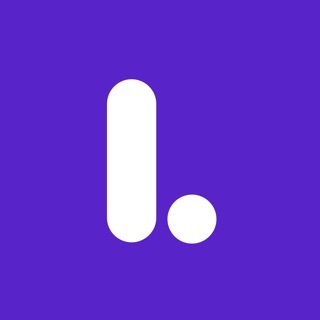 This is just another money grabbing app like tinder and badoo. 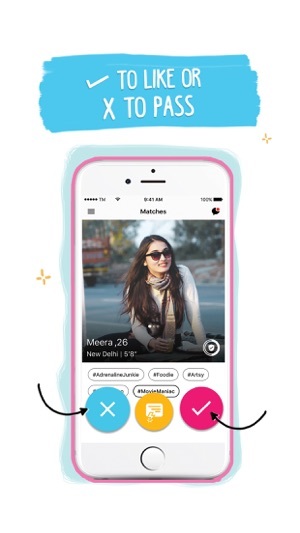 OkCupid is best but it is not well known in India. Thanks for sharing your feedback. Our algorithms work non-stop to find partners and match compatible users. Sometimes this takes time. Paid features on the app help speed this up by giving users power tools and more visibility. However, thousands of free users find matches daily. Please don't hesitate to contact us at contact@trulymadly.com Hope to hear from you soon. I dont know why my account has been blocked sent many email no one bothering to reply only one email came and said i have used bad language but why should i using TM last one year if some one had knowingly report that doesnt mean i had. Thank you for reaching out to us. Do write to us with your registered email id at contact@trulymadly.com. Hope to hear from you soon. © 2015 TrulyMadly Matchmakers Pte. Ltd.